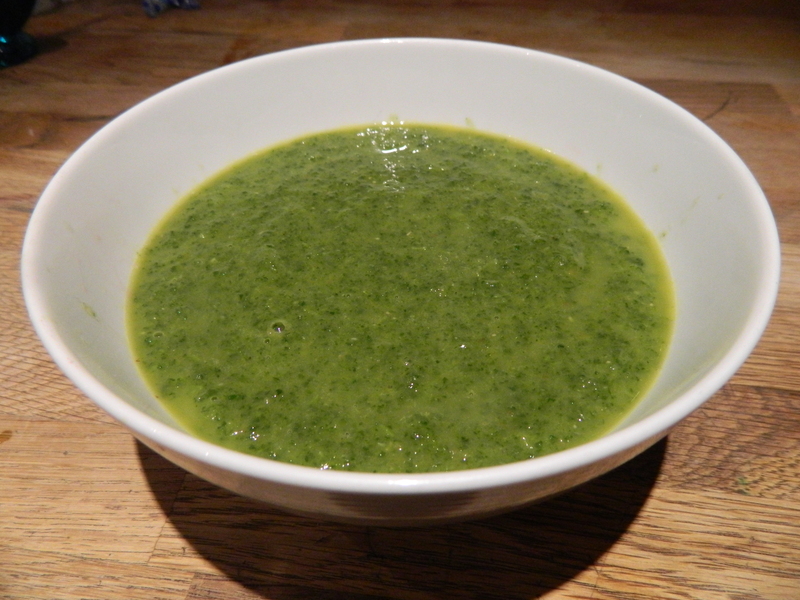 In an earlier post I said I’d share any good nettle recipes on the blog. Here’s the first. I haven’t been able to convince anyone else in the house to eat it (though both girls have tried it) but don’t let that put you off. I really like it and have made two lots so it must be good. If I worked out how much this soup cost to make I think it would be about £1 and it makes about 5 good sized portions. So for this recipe you need 150g nettle heads (picking the top two tiers of leaves with either gardening gloves or kitchen rubber gloves on) it works out to be about 40 nettle heads (in case you want to pick some when you’re out and about and don’t happen to have scales on you). There’s something quite satisfying about foraging your own food for free. Thoroughly wash the nettle tops and put to one side. Heat the butter and oil in a heavy bottomed pan. Sweat the vegetables for 10 minutes with lid on until softened. Add the lentils, stir well and cook for a couple more minutes. Add the vegetable stock and simmer for 10 minutes. Add the washed nettle tops. Stir through and simmer for 5 minutes at the most, till all the nettles are wilted. Blend in a food processor or hand-blender and serve. The only nutrition data for nettles I could find is for nettles in the States so, not sure whether it’s equivalent for the UK but it gives a useful indicator of nutrient levels. So based on this data, a 400ml portion of soup will give you about 15% of your recommended daily calcium intake, around 12% of your vitamin A intake for the day, more than enough Vitamin K and about 10% of your recommended fibre intake.